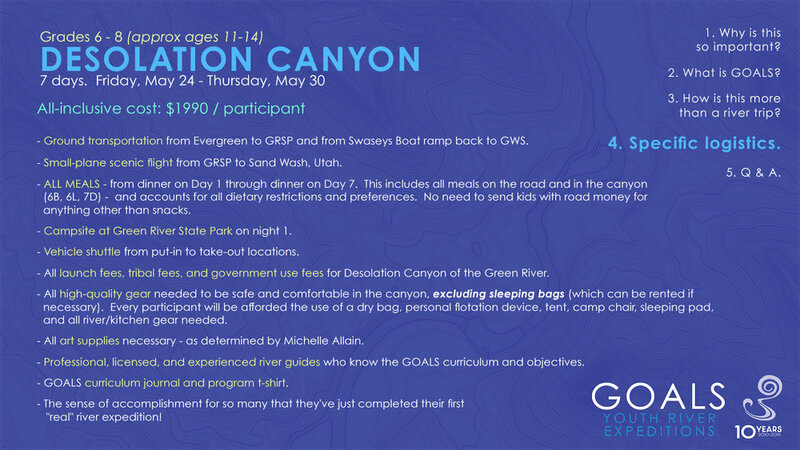 Below, please find the slides from the parent information meeting introducing a pair of 2019 GOALS expeditions being lead by teachers from Evergreen Country Day School. 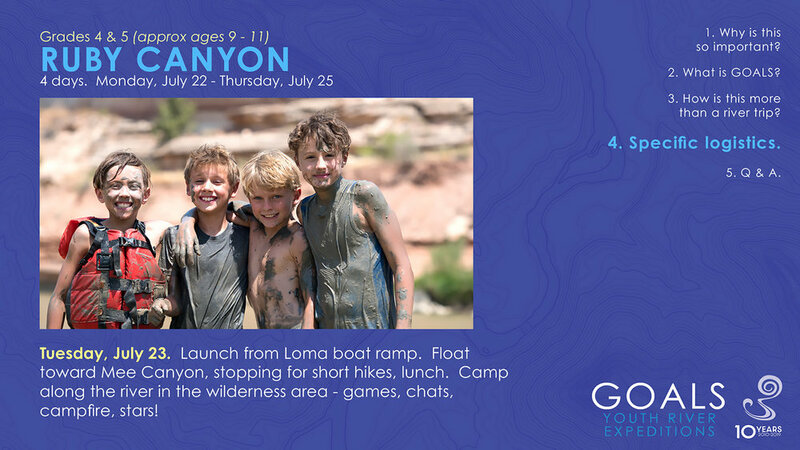 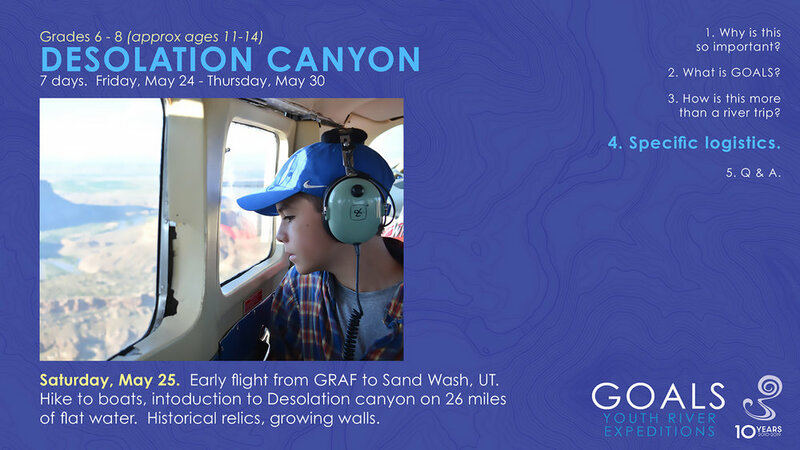 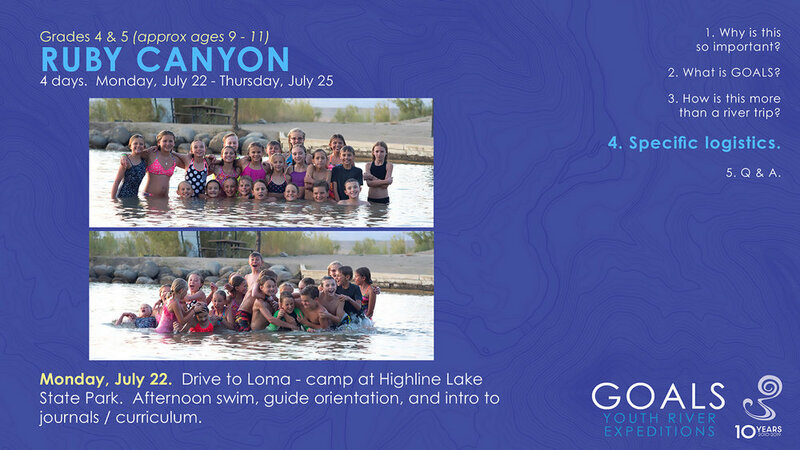 Kristin Hochmuth is leading the elementary expedition in Ruby Canyon of the Colorado River from July 22-25, and Gen Randa/Michelle Allain are leading the middle school expedition in Desolation Canyon of the Green River from May 24-30. 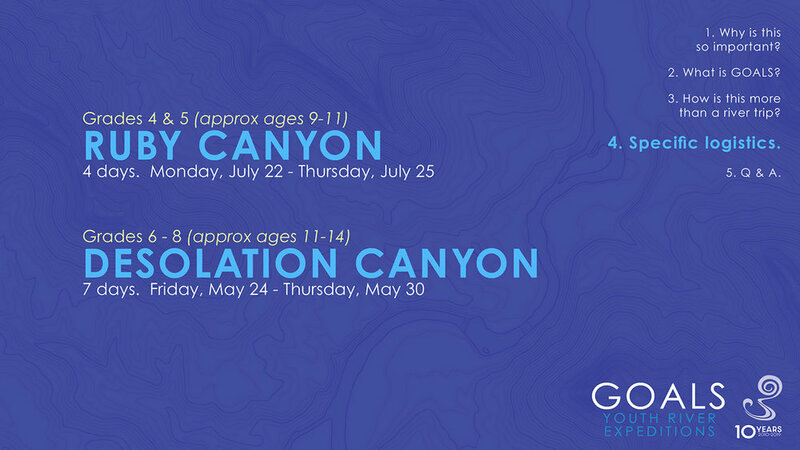 Additional expedition opportunities that are available for elementary and middle school students are listed HERE. 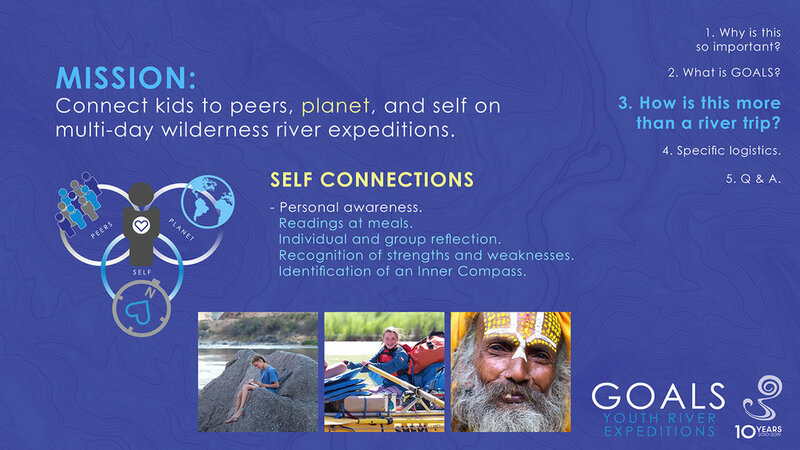 If you have questions after reviewing this slide, deck, please email info@goalsonrivers.org.